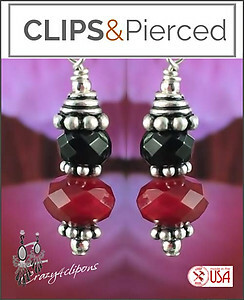 Features: Looking for a pair of small, classy and dressy clip earrings? 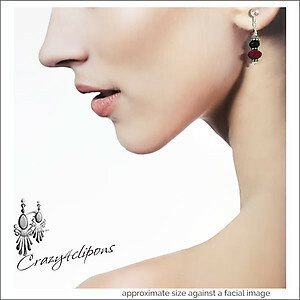 Check this elegant handcrafted design. Small in size but bursting in style and color. 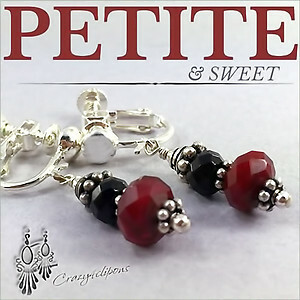 Crimson Red and Black crystals are adorned with antiqued sterling silver daisies and caps.